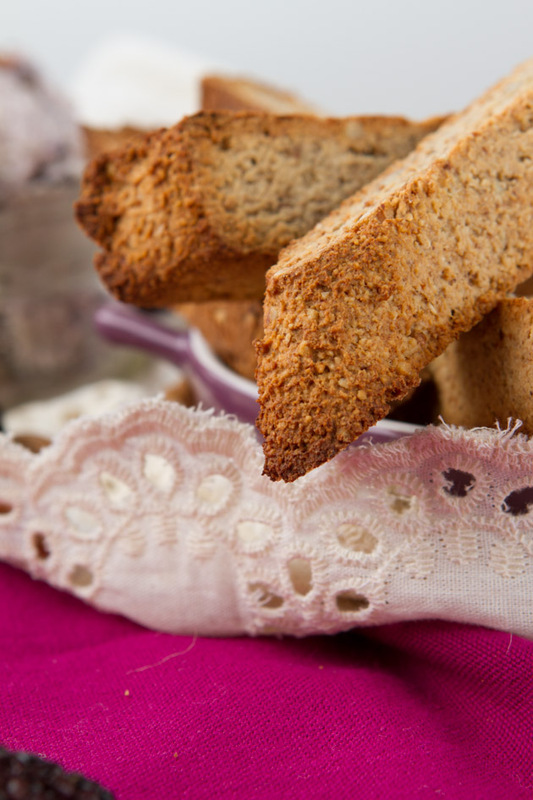 Biscotti sweetened with mashed bananas and completely free of GMOs. When in the market for non-GMO bananas, look for ones that have a “9” at the beginning of the label. Add banana and vanilla to the bowl of your food processor and purée until smooth. If you do not have a food processor, mash in a bowl with a potato masher. Add flour, flaxseed, Natural Calm, baking powder and salt, and pulse until it forms into a ball. If you are using a bowl, use a hand-held mixer. Add pecans and pulse lightly. If using a bowl, chop pecans and fold into the dough. Transfer the dough to the prepared baking sheet and form the dough into a 14-inch brick, about 4 inches wide. Transfer to preheated oven and bake for 25 minutes, until lightly golden. Remove from the oven; cool for 15 minutes. Then cut on an angle into 8 pieces. Transfer back to baking sheet, reset oven to 325°F and bake for 10–12 minutes per side. 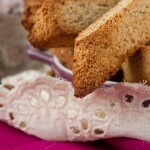 Remove from oven and allow biscotti to cool completely, 1 hour.